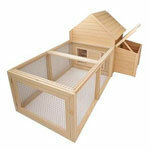 Coops for chickens often make great rabbit coops too! 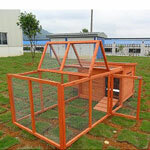 In fact, many are sold as dual-use. 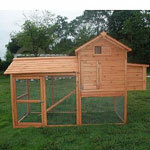 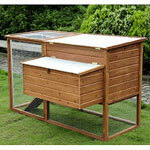 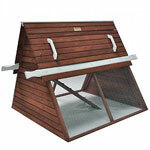 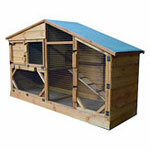 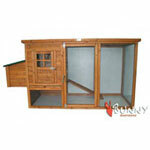 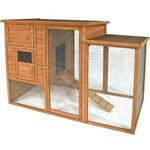 These chicken coops will often come with removable roosting perches to accommodate rabbits. 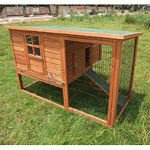 Since many of the coops are, typically, larger than a lot of the hutches for rabbits, using one will offer a bit more sheltered space and open play areas. 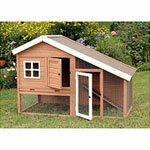 However, keep in mind that most all will have an open floor. 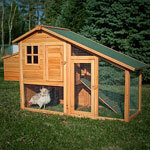 As such, you may need to reinforce the outer perimeter to prevent a rabbit from burrowing out. 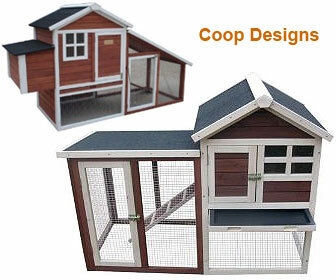 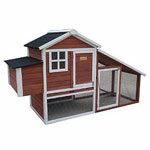 Given that the coop pictures shown below are not to any scale, be sure to look at the sizing dimensions provided. 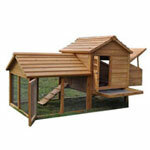 If you're considering one of these designs, be sure to read any consumer reviews that may be available. 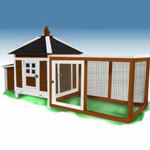 For rabbits that may not be handled daily, most of these units will help provide the additional space needed for regular exercise. 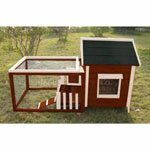 For additional information, links to Amazon are shown, if available. 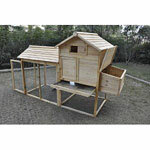 31" x 80" x 46"
64" x 50" x 44"